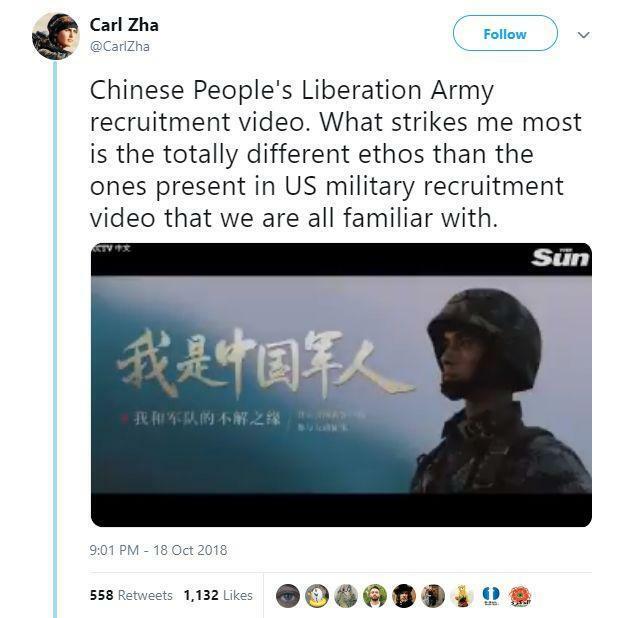 Chinese People's Liberation Army recruitment video went viral online in the US after a netizen named Carl Zha put it on twitter on October 18, Global Times reported on Saturday. Within 24 hours, the twitter got over 80,000 views. The number went to 117,000 views and over 700 retweets before the Global Times' report published. 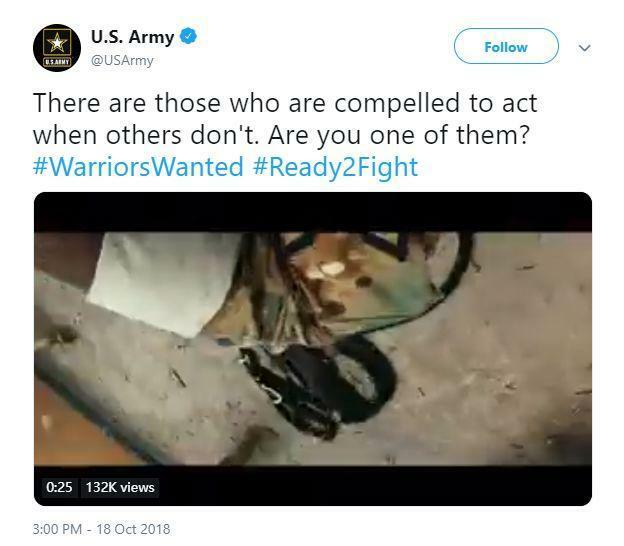 On the same day, the US Army released the US Army recruitment video. However, the video only got 140,000 views while the twitter account has nearly 1.3 million fans. The Chinese People's Liberation Army recruitment video is spoken highly of by the netizens. One netizen said that the Chinese one is better than the US one. 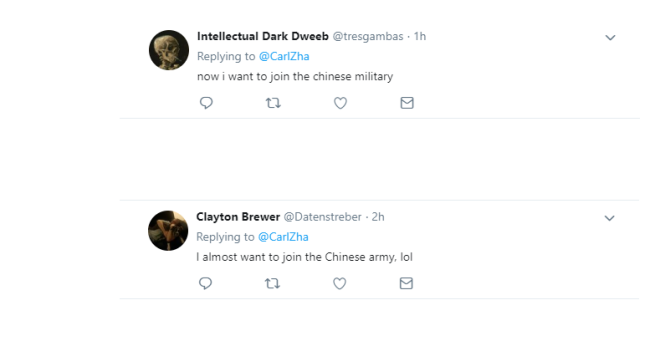 Some netizens all expressed their willingness to join in the Chinese People's Liberation Army after watching the video.